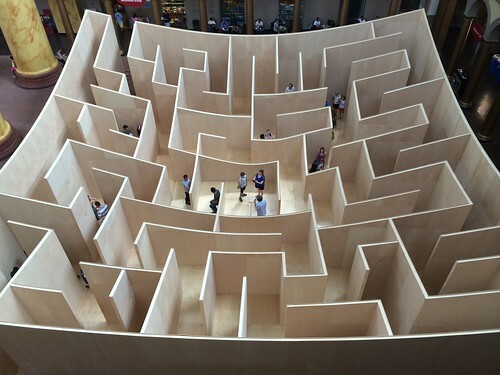 BIG Maze (designed by Bjarke Ingels Group) is just that: a giant maze of high wood walls, but with a twist: as you go deeper in, the walls gradually descend towards the core, revealing more and more of the structure as you approach the center. We visited last weekend and I got a POV traverse video with Glass. 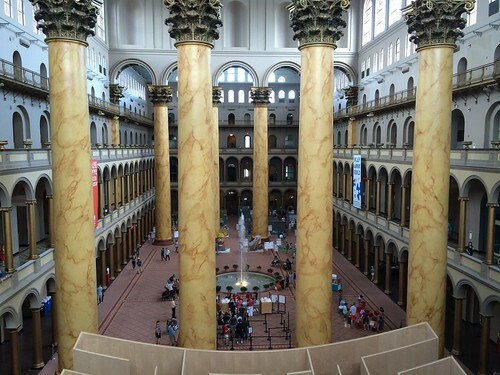 We hadn’t been to the National Building Museum for a while; it was nice to see it again. 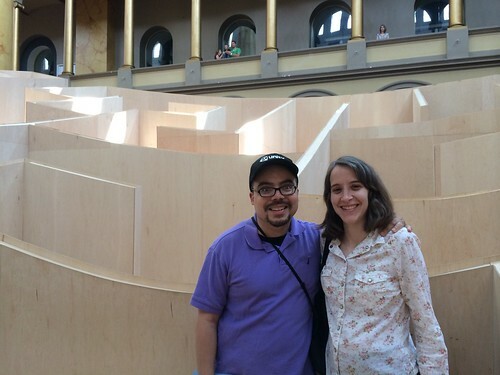 While in the maze we also ran into old friends and neighbors Jodi and Roberto. Sadly the last day of the BIG Maze was on September 1st and it is now being dismantled. No word yet on if it will go elsewhere; would be nice if NBM acquired the piece as part of their permanent collection.